December 24, 2013 December 24, 2013 bcalvanocoachingLeave a Comment on Weekly Angel Oracle Card Reading for December 23 through 29. Weekly Angel Oracle Card Reading for December 23 through 29. 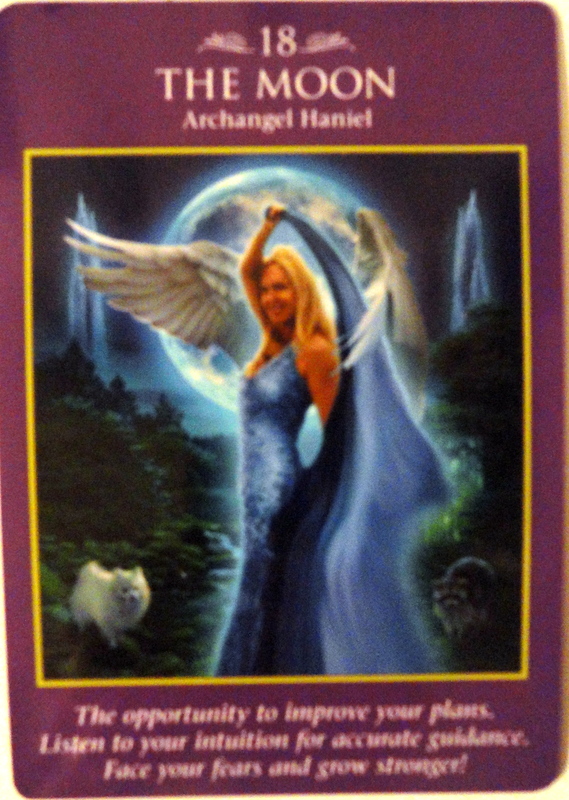 This week I am guided to use the Archangel Power Tarot Deck by Doreen Virtue and Radleigh Valentine. 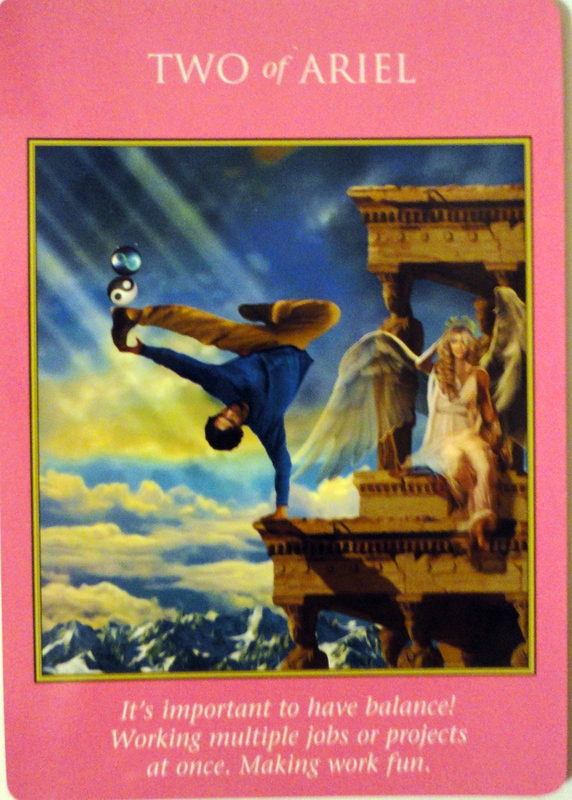 For Monday and Tuesday we have the card Two of Ariel with the message, “It’s important to have balance! Working multiple jobs or projects at once. Making work fun. “ Here we have a message about taking it easy and being present. It’s the holiday season and the end of the year. Many things are going on with work, family and more. Instead of going into the automatic mode of how can I just survive this time of year we are asked to bring fun into our life. The card shows a man doing a one arm handstand on the roof’s edge of a very tall building! It can be precarious try and find balance sometimes. We are advised to bring a sense of balance and being present so that our finances, projects and relationships can be secure and peaceful. It’s a matter of acknowledging that our focus can be in many places at once time so we are guided to remember to breathe, simplify and slow down. Ariel can assist us in bringing more grace and ease to our live in the areas of manifesting abundance in finances and relationships. For Christmas and the day after we have a message to listen and observe any messages we are receiving especially in our dreams. It is a powerful time to deepen out spirituality and intuitive abilities. The full moon as depicted on the card provides light or illumination in or lives especially on areas where we may have been avoiding because of fear. Haniel can shed light on these situations and provide insights for their beautiful resolution. It’s a time where you can develop your own spiritual gifts such as clairvoyance. The energy and vibration of Jesus is universal. Though many think of him only in Christian religious terms he can assist anyone from all backgrounds and denominations and practices. All you need to do is call on him. His love, healing and benevolence is for all people on the planet. Tap into this beautiful light and enjoy this time time to assist you in illuminating any areas of darkness in your life. This added light will show you answers and guidance of which you are seeking. 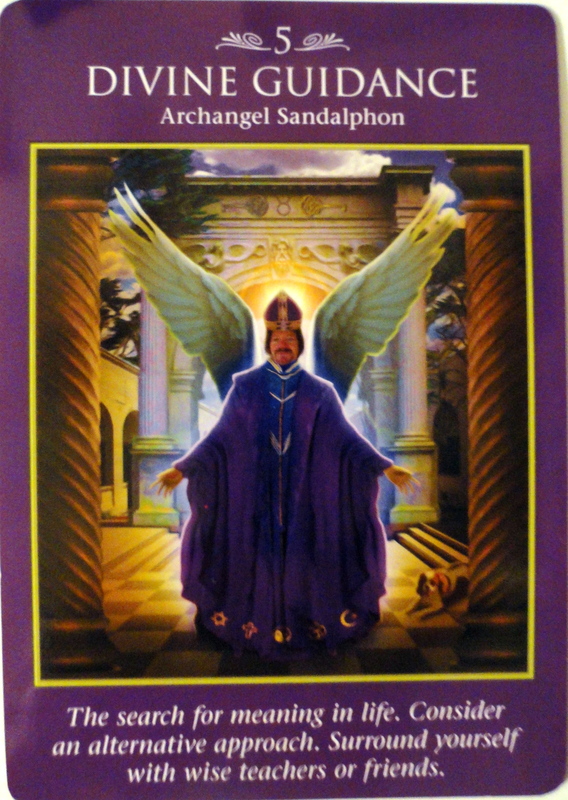 Archangel Sandalphon is the angel who watches over the accumulation of metaphysical and spiritual knowledge. It‘s a perfect message of support as we mediate on the Christmas energy and for some of us consider new paths for spiritual connection and community. The message is that you do not have to be alone. Sandalphon takes your prayers directly to God , Source and Higher power. This week you may have an interest to go beyond your regular usual way of receiving guidance and support from the universe. Divine guidance is readily available in many forms and people. It’s only a matter of choosing and allowing the guidance you are given! It is a week of being reminded to be mindful and present of how we automatically think we need to endure life especially during the holidays and at the end of year. Allowing the support to illuminate to us on what we many have been avoiding so we may reach deeper spiritual connection . We have the opportunity to broaden our intuition and spiritual practices by opening ourselves up to something new and fulfilling. We are reminded we are supported by the angels love. I will be in person at the Awaken Fair in New York City at the Hotel Pennsylvania, Sunday January 19th doing angel card readings from 10am to 5pm. Pre- register for your 15 or 30 minute session at http://www.awakenfair.com. Previous Weekly Angel Oracle Card Reading for December 16 through 22.